Click the name of the calendar for which you want to share avails. Avails will show one of these statuses for each day of the month: OPEN, Confirmed, Hold(s), Blackout. 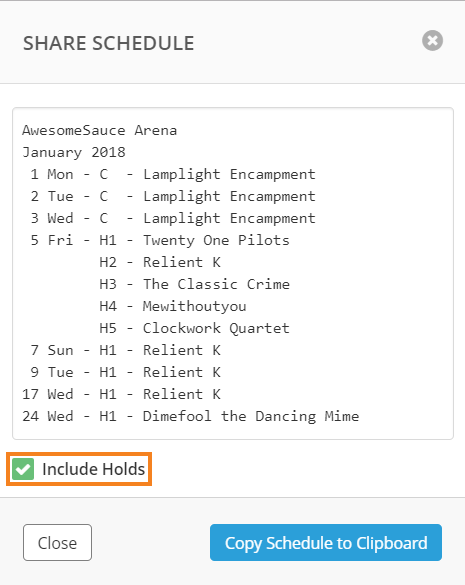 Check Show Hold Counts if you want to display the number of holds that are on each day. Click Copy Avails to Clipboard. You can now paste your avails information into a file or program of your choice, such as an email. The schedule will show the date and name of each confirmed event in that month. Check Include Holds if you want to include hold dates on the schedule. 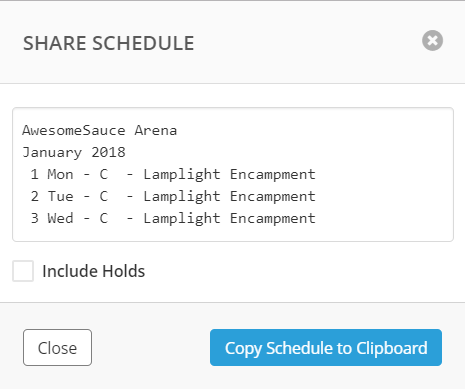 Click Copy Schedule to Clipboard. 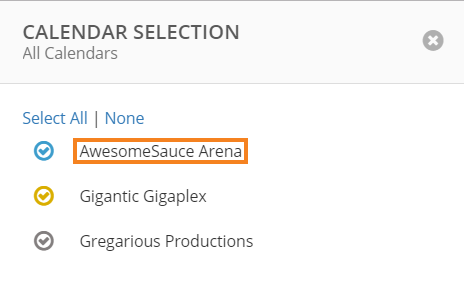 You can now paste your schedule information into a file or program of your choice, such as an email.